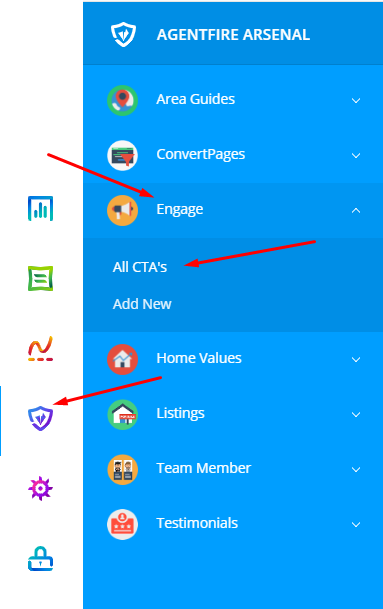 Getting started with your Engage plugin, understanding how to access, create new, edit, and update targeting for available calls to action. UPDATE: AF Team Members has released! 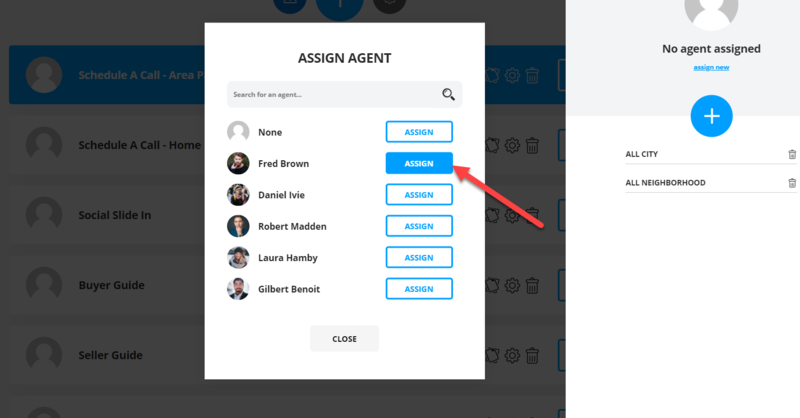 This article has been updated to reflect additional features and benefits when used with the team member plugin. The AF Engage plugin makes it easy to create professional looking slide ins, popup modals, and more. Easily create new entries from a variety of templates, choose your page targeting and control lead form behavior with just a few clicks! Click on the large blue plus button to select from a variety of CTA templates and types. In the modal window that opens, hover over any CTA to see it's title, and click to select that CTA for use. Click on the CTA title to make internal adjustments as needed for organizing and keeping track of your various calls to action. Click on the gear wheel to edit your CTA settings. Click Assign New to connect an agent. Select the appropriate agent from the list shown.